Docking your boat at the marina in the Jacques-Cartier Basin in Old Montreal and Old Port, you have easy access to the downtown core of Montreal, Quebec. When pulling into the marina you can see how the skyscrapers span the skyline of downtown Montreal. Boats in the marina of Jacques-Cartier Basin in Old Montreal and Old Port, St Lawrence River, backdropped by the high rise buildings of downtown Montreal, Montreal, Quebec, Canada. 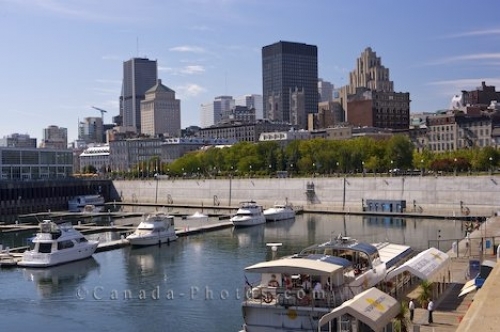 Picture of boats at the marina in Old Montreal and Old Port with the downtown buildings of Montreal, Quebec in the background.